By far one of the most important factors contributing to the size and quality of your harvest is the soil in which your garden is planted. 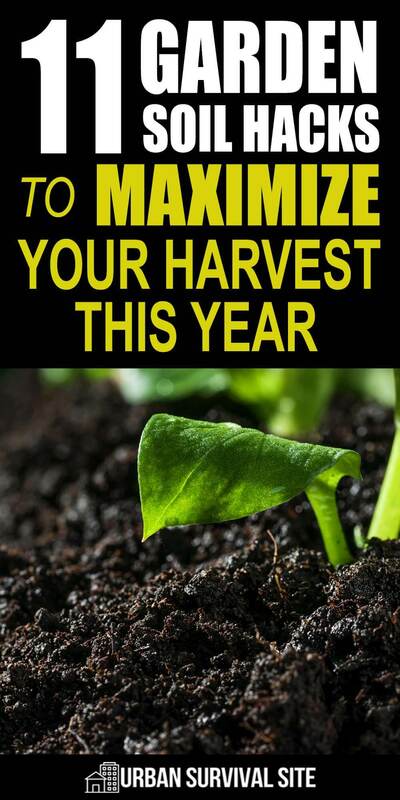 While it may seem like you’re stuck with the soil you have, the truth is there are quite a few things you can do to improve the quality of your soil and maximize your harvest. 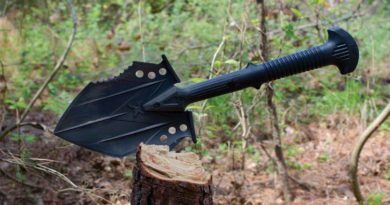 Below, we’ll take a look at 11 garden soil hacks you can use to grow a healthier, more bountiful garden. Cover crops are plants that are planted for the purpose of enriching the soil. When planted in your garden alongside the plants that you intend to harvest, cover crops can add nutrients to the soil, smother out many weeds and other unwanted plants, improve the drainage in your garden, and more. There are a number of plants that serve as cover crops – some of which you can actually harvest as well. Daikon radishes and ryegrass are two common cover crops, though you can check out this article for a list of great cover crops. Compost is a gardener’s best friend. Starting your own compost pile presents a relatively inexpensive and hassle-free opportunity to dramatically improve the quality of your garden’s soil. Starting out composting may be a little intimidating. However, composting isn’t all that complicated or difficult once you have a good grasp of the process. 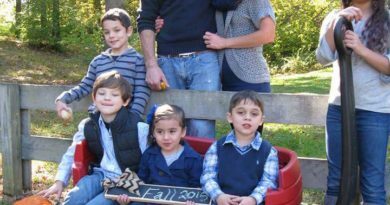 If you would like to learn more about how to get started composting, check out this article. Many times, the soil in your garden may be missing a few key nutrients that your plants will need in order to thrive. Unless you know what nutrients your soil is lacking in, though, it’s hard to know what to add. The good news is that you can make use of a soil testing kit to identify what it is that your soil is missing. After you purchase a soil testing kit and collect your soil samples, you will need to submit the samples to a certified lab. The lab will then send you a full report on your soil, breaking down its composition so you will know what’s missing. Once you know where your soil is lacking, you can go about adding the right nutrients. No matter what your soil is missing, there are products you can purchase as well as DIY alternatives that will be able to fill in the gap. Animal manure is one of the oldest fertilizers in the world. Even with the invention of artificial fertilizers, though, old-fashioned manure remains one of the most effective ways to add a wide range of nutrients to the soil. Chicken manure is one most popular manures for fertilizing gardens, thanks mostly to the fact that it is easier to collect in large amounts. However, you can also use horse manure, cow manure, goat manure, or manure from most any other livestock animal. One important word of caution when using manure to fertilize a garden, though, is that using too much manure or using manure that is too fresh can “burn” your plants. 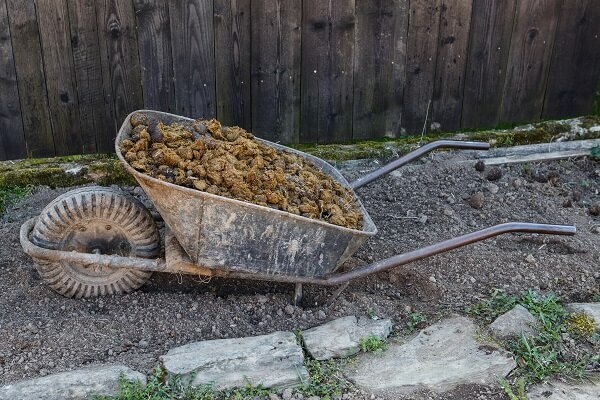 Therefore, it’s important to use the right amount of manure on your garden as well as let your manure age and dry out some before you apply it. Mulch doesn’t directly add nutrients to the soil the way fertilizer does, but it can still improve the quality of the soil around your plants in a significant way. You’ll want to add a few inches of mulch around the base of your plants right after you plant them. This mulch will help retain moisture and ensure that your plants get plenty of water. The mulch will also help cool down the soil your plant is growing in, which will improve the quality of the soil and the health of the plant that is growing in it. Earthworms can be incredibly beneficial to the quality of the soil in your garden. There are a few different ways to make use of earthworms in order to add nutrients to your soil. One method is to add earthworms to your compost pile. The worms will help speed up the decomposition of your compost as well as infuse it with even more nutrients. You can also farm earthworms in a separate compost bin and collect the castings that they leave behind. These castings can then be added to your garden soil in order to boost its available nutrients. 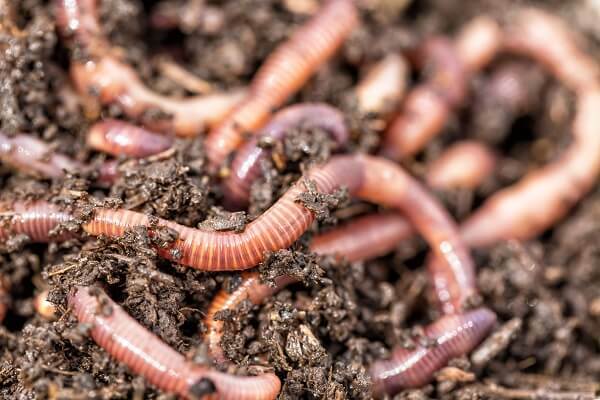 Lastly, you can place earthworms directly in your garden by burying them in the soil and placing a little compost and/or mulch on top of them. The worms will then deposit their nutrient-rich castings directly into your soil. There are a number of reasons why weeds are such a problem for gardeners, including the fact that they pull all of the nutrients out of the soil. If you want to create an ideal growing habitat for your plants, getting the weeds in your garden under control needs to be a top priority. Start by putting mulch over your garden in the fall in order to get a head start on weed control and prevent many weeds from sprouting. From there, try to stay on top of the weeds by pulling up those that do sprout in the spring as quickly as possible. You can bury the weeds you pull under a few inches of mulch to kill two birds with one stone and add more nutrients to the soil at the same time you are eliminating your plants’ competition. Everyone knows not to step directly on the plants in a garden, but did you know that even stepping on the soil around your plants can be harmful as well? 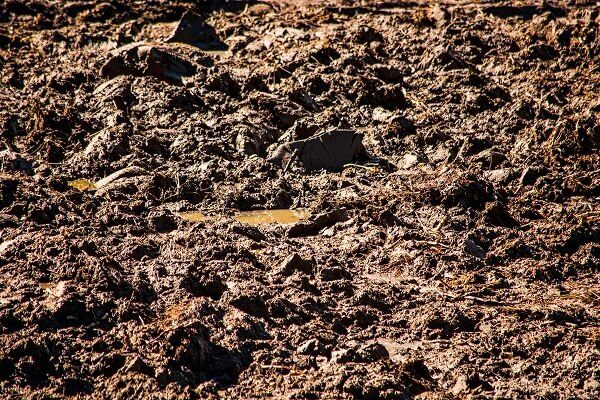 The reason why you want to avoid stepping on your soil has to do with keeping the soil aerated. The soil in your garden contains small pockets of air, and this air plays an essential role in the quality of your soil. When you step on the soil, though, you force out this air. When you plant your garden, create ample room between the rows for you to walk down without stepping on the soil that your plants’ roots are buried in. This way you can still access your plants without robbing the air from the soil beneath them. Working your soil when it is too wet creates the same problem that stepping on your soil does – it forces the air out of the soil. While it may be tempting to head out to your garden as soon as a rainstorm is through, you’ll want to wait until your soil dries out a little before you try to do anything with it. To test if your soil is too wet to work, grab a handful of the soil and squeeze it. If no water comes out between your fingers, then the soil is ready to work. If you do notice water coming out of the soil, though, it’s better to wait for it to dry out a little before you try to do anything with it. If you have a wood burning stove, you can use the ashes from your stove to add nutrients to your garden soil. Wood ash still contains many of the nutrients from the tree it came from such as calcium, potassium, and a number of other micronutrients that will be great for your soil. Ash is also very alkaline, which means that it can be used to lower the acidity of your soil. While this is great for some plants, it’s also not so great for other plants that prefer acidic soil such as blueberries. Before you put ashes around your plants, check the pH of the soil and compare it against the pH level that your specific plants do best in. If your soil is already at an ideal pH level or it is on the alkaline side, avoid putting ashes in your garden. If, however, the soil could use the alkaline boost then wood ash makes for a great way to boost the alkalinity of your soil while at the same time adding a number of nutrients to it. Many of the kitchen scraps that you might be throwing out can be very healthy for the soil in your garden. For example, coffee grounds, raw vegetable scraps, banana peels, egg shells, and many more kitchen scraps can all serve as a great source of nutrients. Rather than throwing these kitchen scraps away, collect them and spread them around your plants. It may not make for the most attractive garden in the world, but it will greatly improve the quality of your soil and the health of your plants as the scraps decompose.